ABC will start airing the 22nd season of Dancing with the Stars on March 21st and we already know that the competition series will be returning for a 23rd season in Fall 2016. ABC has also renewed: America’s Funniest Home Videos, The Bachelor, Black-ish, Fresh Off the Boat, The Goldbergs, Grey’s Anatomy, How to Get Away with Murder, Marvel’s Agents of SHIELD, The Middle, Modern Family, Once Upon a Time, Scandal, Shark Tank, and Quantico. What do you think? Do you like the Dancing with the Stars TV show? Are you glad that it’s been renewed or, do you think it should have been cancelled instead? 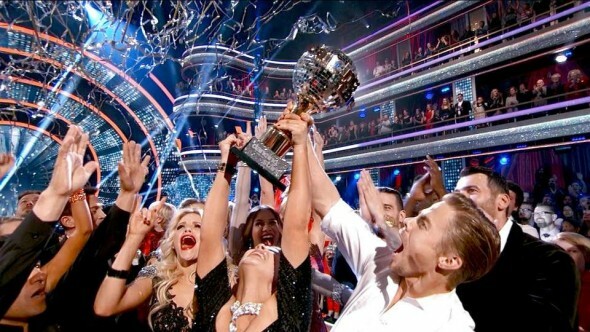 I am so happy DWTS has been renewed. It’s my favorite show. I hope the new season is as exciting or better than 22 . I hope Edyta is back. I hope Allison is back. Mark Ballas is fabulous. He is so creative. I love to see his routines. I love the 3 judges. It would be interesting if there were 14 couples. Yay! It was so nice seeing Edyta again! But, it is like before – she was again paired with someone who, despite doing their best, would not last long on the show. It never seems fair to her, or the audience who wants to see more of her.